Visit the Chicago Botanic Garden on Saturday, April 29 or Sunday, April 30 to enjoy the most beautiful daffodils this spring. 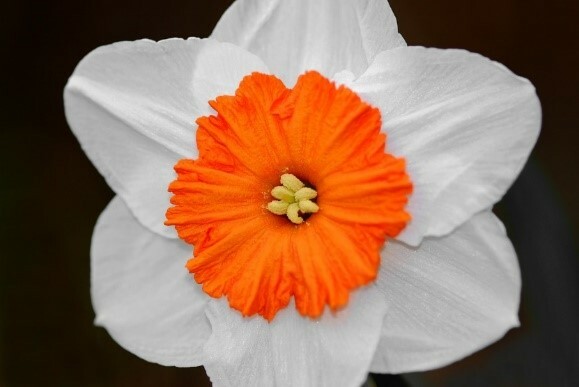 Hundreds of blooms will be on display and judged by the Midwest Daffodil Society. In addition to the lovely blooms, guests can view floral designs and photographs of the flowers. Competitors ranging from beginners to advanced will be participating in this event. Admission is free. For additional information, visit the Chicago Botanic Garden website. Live on "The Lane" -- a serene private tree-lined street and stunning 2-story townhome combine here! High ceilings, open-concept living areas, elegant decor, tasteful upgrades & inviting Linden Tree Lane ambiance highlight this striking 2-story -- make this exceptional townhome your new reality! Living is great on “The Lane”! 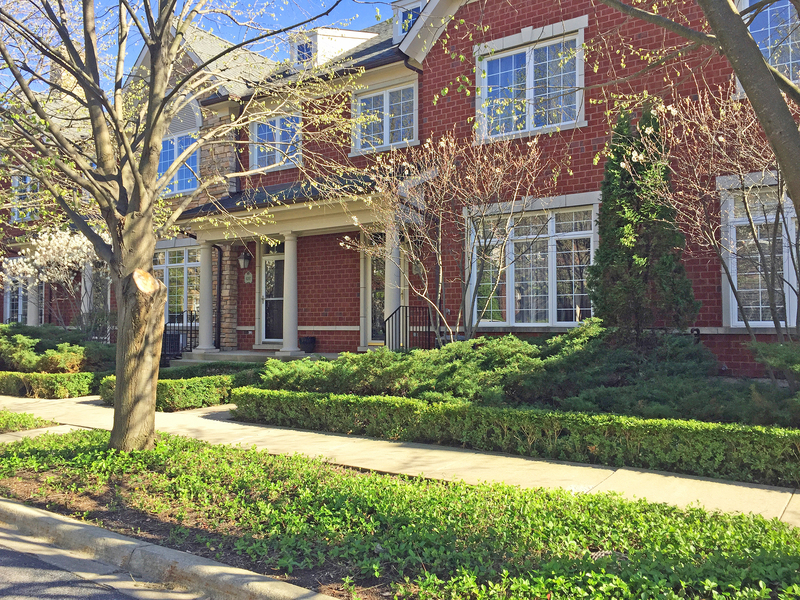 Step in to this stunning upgraded Linden Tree Lane town home and enjoy the nine-foot ceilings, expansive hardwood floors and view of the elegant living room with its captivating see-through fireplace and an adjacent formal dining room. The opposite side of the fireplace opens to the breakfast-bar-island kitchen with its cherry-cabinetry, granite counter tops and stainless steel appliances; the family room and the breakfast area. This great room offers comfort and open concept living combined with a quiet view overlooking the private fenced patio, ideal for warm-weather evening galas where soft rope lighting provides a uniquely soothing ambiance. Upstairs you’ll find the master suite with volume ceilings, a walk-in closet and luxurious bath featuring a toe-lighted vanity with marble counter tops and twin sinks, a separate shower and a deep soaking tub. Two additional family bedrooms, one with high ceilings, a convenient large second-floor laundry room, and family bath are also located here. The lower level, fully-finished, features a huge ell-shaped recreation room -- large enough for multiple family activities, a full bath and French doors opening to a multi-purpose office, studio or bedroom with its own walk-in closet. Located on enchanting Linden Tree Lane, noted for its exquisite tree-lined street, aerated ponds and spectacular landscape, this home combines a magical storybook setting, lifestyle and community! To view the full description and collection of photos for this home please visit www.4289LindenTree.com! With the growth of tiny houses as well as other architecturally distinct homes, it can be challenging to find the right buyer for a place that stands out from the crowd. Not everyone enjoys being different or the center of attention in a neighborhood. So, here are some suggestions to increase the likelihood of identifying a unique buyer when you’re ready to sell. Your one-of-a-kind home will likely create quite a stir on Facebook, Twitter and other social networking sites by garnering the attention of friends and family who can share photos with their connections. The more people “talking” about your home, the better the chance that someone will see it who likes it as much as you do. Don’t just post images of your house. Create an emotional reaction by discussing it to generate an interested response. Try asking questions such as, “Would they prefer the dark purple or a lighter shade?” Not only does this technique help to keep your home top of mind and the conversation going, but it will also rank higher in searches. If you built this special home or added the features that make it different, be sure to include the story of why you chose that particular design. Alternately, if the home was planned by someone else, try to add their backstory. If possible, tell the story in a video tour or on a blog to capture people’s interest. It may make them take a second look at a property they would have otherwise dismissed. Depending on your home’s location, it may be the perfect space for a new business. Many new companies seek an affordable property with out-of-the ordinary features in a good location. Businesses often choose to make a statement and stand out, sometimes more often than individuals. To capture even more attention, create a website dedicated to showing your home’s full potential and be sure to include plenty of photos and/or video that highlight any special features. 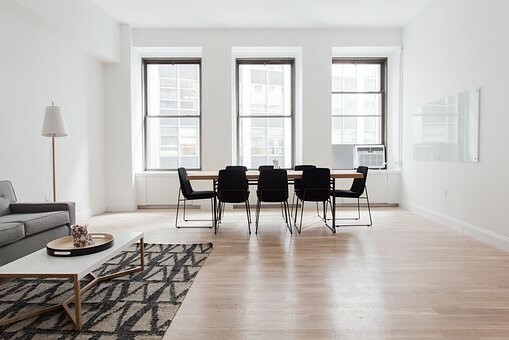 This can be done by illustrating how these features are utilized and to help prospective buyers visualize themselves in the space. For additional information on marketing your exceptional home and getting it ready to sell, feel free to contact me today for a consultation. I will be happy to answer any questions you may have, help you to find your dream home or determine the value of your existing property. 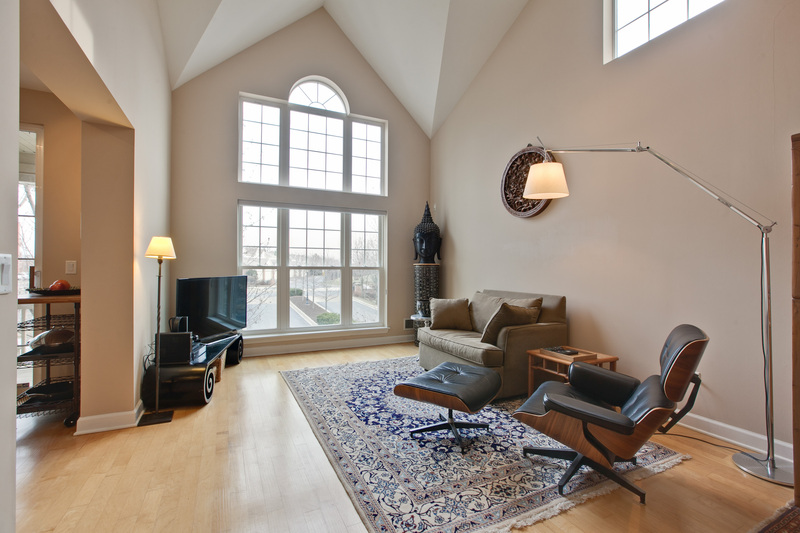 Open Concept Design and Dramatic High Ceilings Combine in this Easy Living Multi-Story Villa! 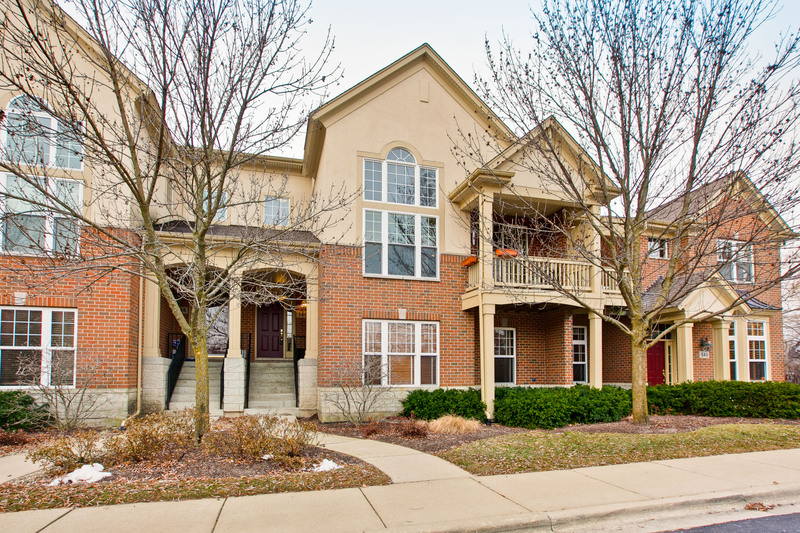 Ultra Convenient Location, Ultra Convenient Design -- a South Commons Gem with Serene Pond Views! Rarely-available, this open-concept three-story town home in Villas of South Commons combines luxurious living with an ultra-popular in-town location. Featuring a 2-story Great Room with cathedral ceilings, hardwood floors, streaming sunshine & glorious pond views, the main floor living/dining room and adjacent kitchen seamlessly flow together. The eat-in kitchen with granite counters and newer stainless appliances offers both a pass-through breakfast bar overlooking the living/dining area and patio sliders opening onto a private balcony with water view. This two-bedroom villa with both living and upper level master bedroom options, provides amazing flexibility with one master suite on the main level featuring two large walk-in closets and a spa bath, complete with separate shower, twin sinks and water closet. Located off the inviting loft with its dramatic views to the Great Room below, the upper level master bedroom boasts its own en suite bath and two more enormous walk-in closets. Additional highlights include a main floor powder room with vessel-style sink; large laundry/utility room with newer Samsung front loading washer, dryer and pedestals upgrades, abundant cabinetry & drying rods; a private entry leading down to your 2-car garage-level foyer with huge walk-in closet; ample garage storage area; 2015 Pella windows throughout; and a newer on-demand tank-less hot water unit. 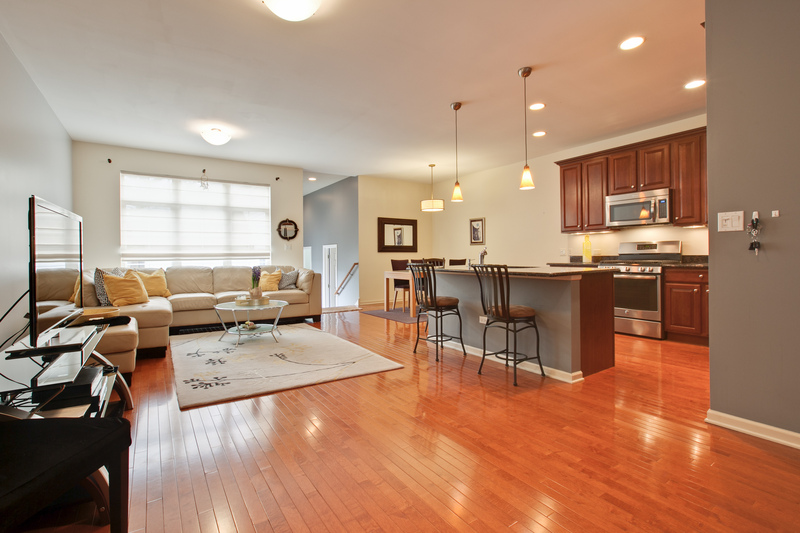 Here is an exciting opportunity to blend the benefits of condo-style living, the appeal of today’s design preferences and a prime location within one block of shops, restaurants, Metra station, post office and nearby library -- only minutes to two highways. Satisfy your dreams in this carefree Carlyle model with over 2000 square feet of living space! To view the full description and collection of photos for this home please visit www.546SouthCommons.com! 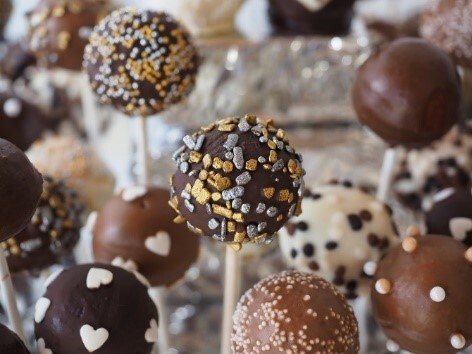 Enjoy the delicious taste of chocolate and wine at a charity wine tasting and artisan foods event on April 22nd and 23rd. The event will be held at the Stephen M. Bailey Auditorium in Plumbers Hall on Washington Boulevard in Chicago. Guests will have the opportunity to taste the finest in wines, foods and artisan chocolate – all for a good cause. This special event will support the Bear Necessities Pediatric Cancer Foundation. It runs from 11 AM to 6 PM on Saturday and 11 AM to 5 PM on Sunday. Parking for this event is free. There will also be special guests providing demonstrations and talks on the topic of food. Tickets are $40 at the door, or they can be purchased in advanced on the website. The March 2017 Midwest Real Estate Market Reports are now ready for your review. These market reports provide an insight on the real estate market statistics for Cook County and Lake County. These statistics are helpful when you are considering buying or selling in today’s real estate market. And, remember should you need tailored reports on a subdivision or neighborhood in the North Shore, North, and Northwest Suburban Chicago, Illinois area, please let me know. Are you thinking about selling your home in 2017? If so, like many people, you will likely continue to live in your home while it is for sale. So here are some tips on how to survive the process and ensure that your home looks its best for all showings. For the best results, consistently do the following things every day to guarantee that your home will always be presentable and ready to show to potential new buyers. -Empty the sink of dirty dishes. -Fresh flowers always look nice. -Pay attention to the smell. Be aware of cooking odors because some linger longer than others. -Check the thermostat. Make sure people coming in will be comfortable while they are looking at your house. If they are too hot or too cold, they won’t stay. -Keep the yard neat. Rake, pick up sticks and mow regularly – do whatever it takes to make the yard look its best. 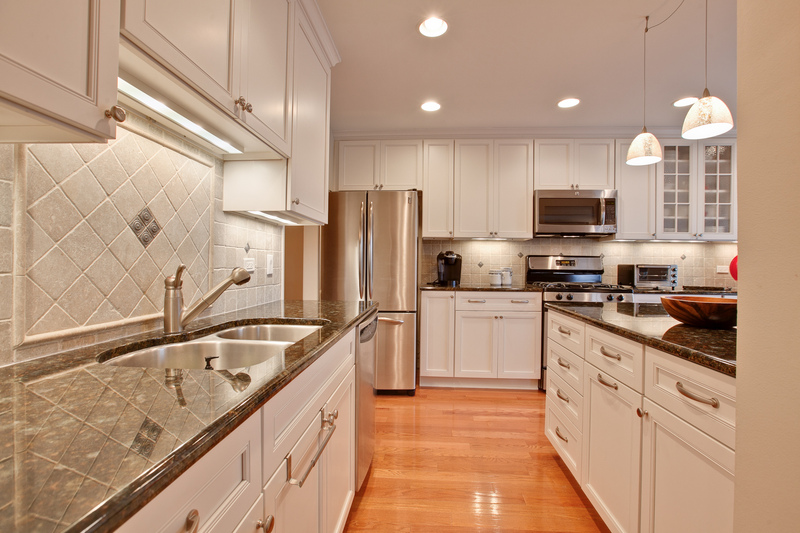 -Keep the counters clear and clean. All homes have spaces that tend to collect clutter. Try to keep that from happening. -Preferably, don’t remain at home (even outside) during showings. -Remove all pets for showings if at all possible. While undertaking these tasks may not make your home sell faster, it will allow buyers to enjoy looking at your home and generally keep them there longer. When agents show attractive homes, they remember that fact. So even if one buyer prefers another home, that agent may return with another prospect. Conversely, if a home shows poorly, the likelihood of an agent returning with another client diminishes. For additional information on getting your home ready to sell and finding a new residence, feel free to contact me today for a consultation. I will be happy to answer any questions you may have, help you to find your dream home or determine the value of your existing property. 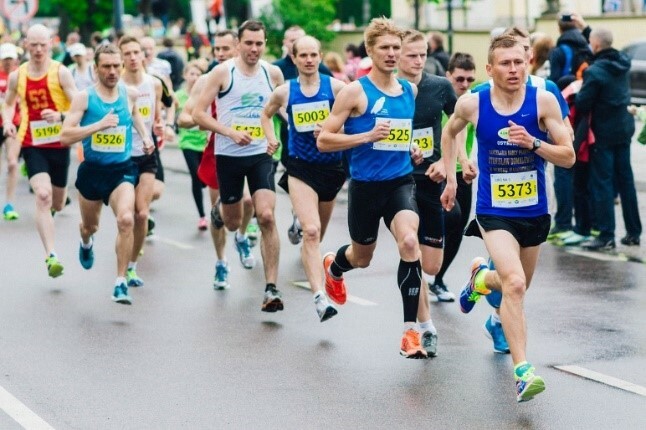 Test your endurance while enjoying a scenic run and a uniquely fun time at the Chicago Quarter Marathon on Saturday, April 15th. Held at Chicago’s Grant Park, this event benefits Prevent Child Abuse America. The route runs along a scenic lakefront 6.55-mile path and everyone who finishes the race will receive a medal. Additionally, there will also be entertainment along the course as well as a party afterwards for even more fun. All registrants receive a T-shirt. For additional information and pricing, visit the event website. PRISTINE PERFECTION & SERENE POND VIEWS COMBINE IN THIS STUNNING 3-BEDROOM, 2.5-BATH PHEASANT CREEK TOWN HOME! This lovely home features a stunning, updated high-end kitchen with stainless steel appliance, Omega cabinets, granite counters, a convenient breakfast bar peninsula, and an eating area with sliding patio doors opening to a huge deck. 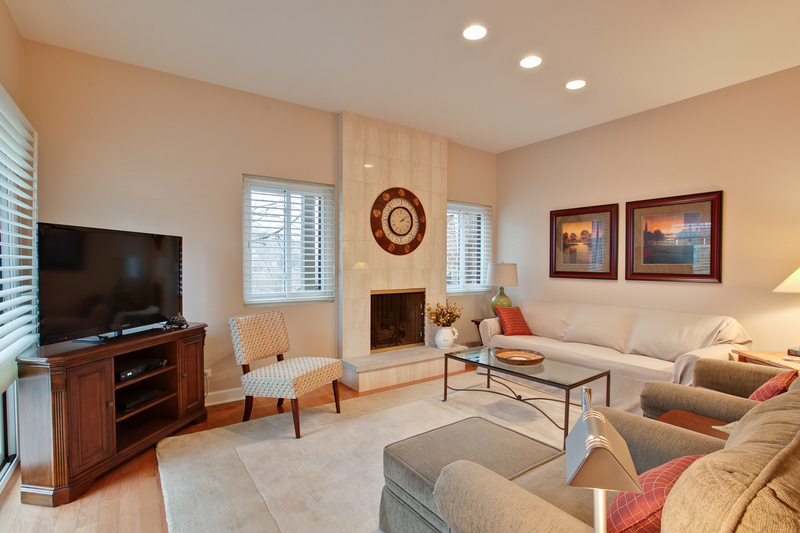 The kitchen opens up to the inviting Family Room with a brick, raised-hearth fireplace. The formal, separate dining room overlooks the step-down living room with its 9’-foot ceiling, a second fireplace with marble surround and raised hearth, sliders leading the private patio and a view of the adjacent pond. Lovely wood flooring graces the entire first floor and the open half-turn stairway leading up to the second floor bedroom wing and laundry room. Add custom blinds throughout and upgraded lighting among the countless updates to this dream home. On the upper level you’ll find the large master bedroom suite boasting a walk-in closet, fitted linen closet, private full bathroom and a balcony with tranquil pond views. Two more family bedrooms, one now-used as an in-home office, features overhead lighted ceiling fans and large double-door closets. The large ultra-convenient second-floor laundry room is located here. Additional extras include ample storage space located on the lower level with an attached 2.5-car garage and bonus room. Pheasant Creek amenities include two pools and an on-site professional management office. This home is a true joy to see and will fulfill your great expectations! Contact Allyson Hoffman for more information. Visit www.RealEstateNorthernIllinois.com or email Allyson@Allyson.com! The floor, a practical part of your home and sometimes neglected, is one of the features to update in your property. When installing new flooring it’s important to choose the right material for the space. Here are a few suggestions for selecting your home’s best flooring option. If you are installing a floor in a room with high humidity and a lot of moisture, you’ll want to select something that is suited to that environment. Generally, the best options include concrete, tile or vinyl. Typically, wood doesn’t fare well in high-humidity because it can warp. prefer the look of hardwood, it can be sanded and refinished (at an additional cost) to remove scratches or areas of wear and tear. If you prefer carpeting, be sure to use only high-quality carpeting that functions better in high-traffic areas -- otherwise, you’ll likely notice wearing and will need to replace more frequently. For budget-conscious improvements, typically the least expensive flooring material is laminate. However, some ceramics and porcelain tile floors can also be cost effective. For moderately-priced carpeting, tiles, hardwood and/or engineered wood, expect to pay between $2 and $5 per square foot and if budget restrictions are not vital, consider the more expensive hardwoods such as mahogany or Brazilian cherry. For do-it-yourself homeowners (DIYers), you’ll find that laminate and vinyl are the easiest to install. Tile will be more difficult and hardwood more complicated and time-consuming. Carpeting almost always appears best when professionally installed with the right equipment to get a truly “flat” installation. For flooring options that need very little upkeep, vinyl and laminate are prime choices. Just clean with a wet or damp mop. Alternately, hardwood, often selected for the sheer beauty it provides, will have higher maintenance requirements to retain its good looks. So before you install any of these choices, know what is needed, what it requires, what it costs and how long you can expect it to last. For additional information regarding flooring options and how they can impact the value of your home or a home you are interested in purchasing, feel free to contact me today for a consultation. I will be happy to answer any questions you may have, help you to find your dream home or determine the value of your existing property.